Gary Cohn steps down amid disagreement over Trump's proposed tariffs on steel and aluminum imports. 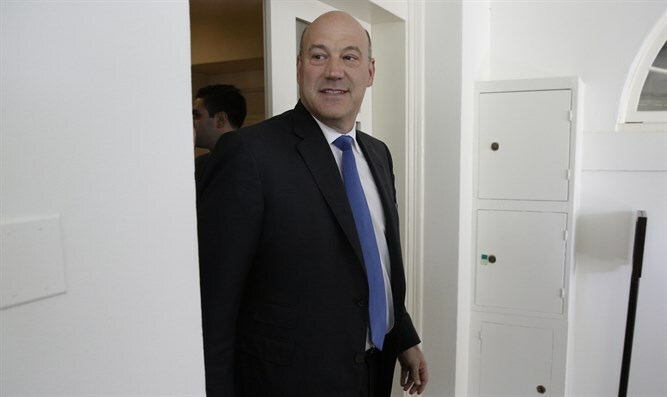 Gary Cohn, U.S. President Donald Trump's top economic adviser, stepped down on Tuesday, reportedly over Trump's proposed tariffs on steel and aluminum imports. "It has been an honor to serve my country and enact pro-growth economic policies to benefit the American people, in particular the passage of historic tax reform," he said in a prepared statement. "I am grateful to the President for giving me this opportunity and wish him and the Administration great success in the future," added Cohn. In his own statement, Trump said, "Gary has been my chief economic advisor and did a superb job in driving our agenda, helping to deliver historic tax cuts and reforms and unleashing the American economy once again." According to CNBC, at a meeting with steel and aluminum executives last Thursday where Trump announced tariff move, Cohn argued against it, warning about price increases for steel and aluminum products, according to a person in the room. Last summer, Cohn said he had faced pressure to resign after the uproar over Trump’s reaction to the recent clashes in Charlottesville, Virginia, that left one woman dead. He acknowledged at the time that the Trump administration “must do better” in condemning neo-Nazis and white supremacists following the violent protests. “I have come under enormous pressure both to resign and to remain in my current position,” the former banker told the Financial Times during an interview about economic policy in August. “As a patriotic American, I am reluctant to leave my post...because I feel a duty to fulfil my commitment to work on behalf of the American people. But I also feel compelled to voice my distress over the events of the last two weeks,” he added. “Citizens standing up for equality and freedom can never be equated with white supremacists, neo-Nazis, and the KKK,” said Cohn.